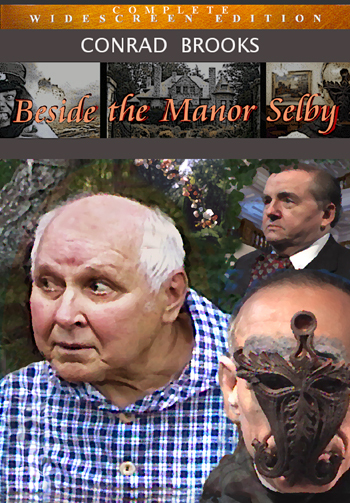 Beside The Manor Selby is a period drama starring cult film actor Conrad Brooks taking place in the Edwardian era with literary allusions to the works of Johann Wolfgang von Goethe, Thomas Paine and Shakespeare. The production was written, directed, edited and scored by Ellsworth Hall. The production's soundtrack music appears on Ellsworth's classical album Conversations with George Edgar Selby (album cover painting by Ellsworth pictured above). The album is in two parts. The first part contains a newly orchestrated and recorded version of Ellsworth Hall's Piano Concerto No. 1. The second part features the movie soundtrack. Ellsworth performs on a Steinway grand piano along with the vibrant sound of the Czech Philharmonic Orchestra. Conrad Brooks returned as The Gardner for the sequel before his passing in late 2017. George Stover appears in a scene with Conrad in the sequel. The song "In Grief Unbound" awarded Semi-Finalist placement in the Song of the Year Contest. Conversations with George Edgar SelbyThe song from Ellsworth Hall's solo CD Conversations with George Edgar Selby (and the soundtrack to the movie Beside the Manor Selby) was awarded Semi-Finalist placement in the Song of the Year Contest. The 'Semi-Finalist' placement is the highest placement next only to the one winner and four finalists from each category. The DVD includes the trailer, music video and fully chaptered version of the film. The story takes place during World War I which was sparked 100 years ago by the assassination of Archduke Ferdinand. New blog from Boulevard Denim, Selby Manor Journal. Many thanks to Director Daniel Ragussis (HaberHaber) and The Great War Association for their contribution to the production.